From KKDA we made our way a bit north to Hunter Ferrell Rd., where we found the four-tower day site of KFXR (1190 Dallas), formerly Gordon McLendon's legendary KLIF. Today it's a Clear Channel-owned Fox Sports outlet. 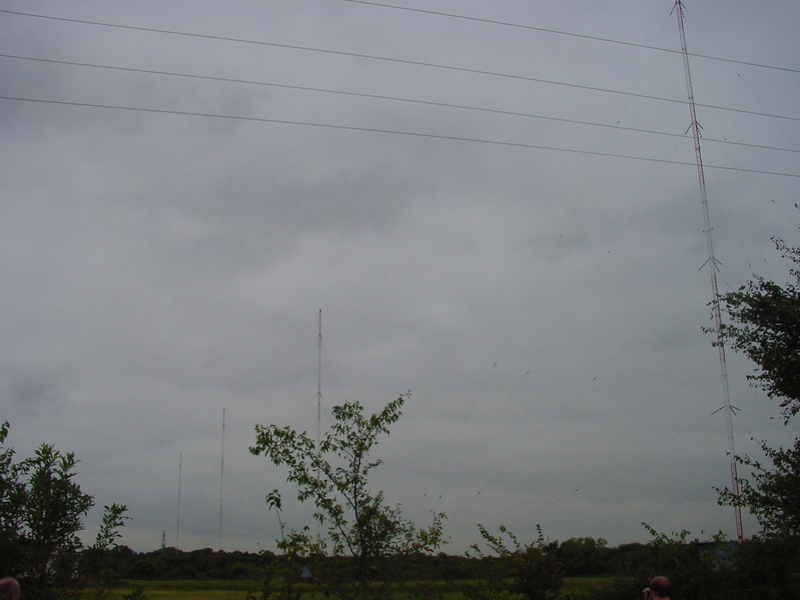 Although it sure doesn't look it from this photo, these four towers are actually evenly spaced in a straight line at an azimuth of 177 degrees true, developing a major lobe of its 50-kW signal towards Dallas (in “broadside” mode). As with KKDA's facility, this site is also located in the flood plain of the Trinity River. The next photo shows the transmitter building.